Kraków – the place of birth and activity of bygone and contemporary saints, the most beloved city of the Polish Pope, and the world’s centre of devotion to Divine Mercy. The churches built here for centuries, images of saints famous for their graces, and cherished relics are all elements of the unique character of the city. You’re welcome to join a three-day pilgrimage tour to Kraków’s holy places. The first day starts in Wawel Cathedral atop Royal Hill, where the mortal remains of St Queen Jadwiga, and St Stanislaus the bishop and martyr are deposited. The latter is also particularly remembered in the Church “on the Rock” (na Skałce). It’s only a few steps away from the Church of St Catherine, where devotion to St Rita, the patron saint of hopeless matters, is developing. The Kraków pilgrimage paths will lead us further to the Sanctuary of Divine Mercy connected to St Faustina and to the Sanctuary of St John Paul II, dedicated to the Polish Pope. We will spend the second day of our tour in the streets of the city centre. Its numerous historical churches are today nexuses of living worship and tradition passed from generation to generation. 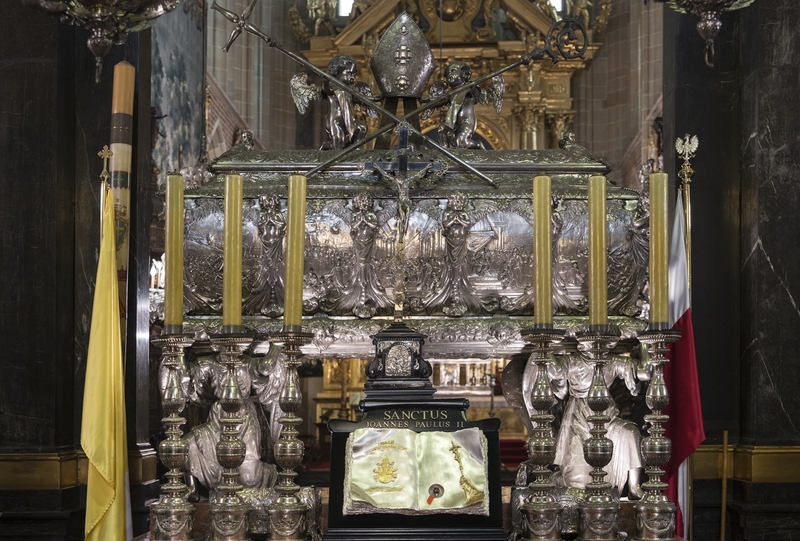 We will take a peek into the Dominican Church with the Chapel of St Jacek, the first Polish Dominican, as well as into St Anne’s, with the tomb of St John Cantius. We will admire the famous images of the Mother of God: Our Lady of Ransom of Slaves (in the Church of the St Johns). Our Lady of Dolours (in the Franciscan Church), Our Lady of the Rosary (in the Capuchin Church), and Our Lady of Piasek (Carmelite Church). Finally, on the third day we will proceed to the outskirts of Kraków, to the Ecce Homo Sanctuary connected to the figure of St Brother (Friar) Albert, and to the Cistercian Sanctuary of the Holy Cross in Mogiła: once a village and today part of Nowa Huta. Your arrival in Kraków is worthwhile, yet it is only the start of the pilgrimage.